AMMONIA (NH3) or its ion form ammonium (NH4+) is an important source of nitrogen for living systems and is ubiquitously present in the nature. Simple, direct and automation-ready procedures for measuring NH3 are very desirable. 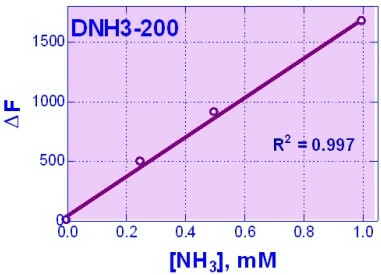 BioAssay Systems’ ammonia/ammonium assay is based on an improved o-phthalaldehyde method. This reagent reacts with ammonia/ ammonium and forms a fluorescent product. The fluorescence intensity (λex/em = 360/450nm) is proportional to the ammonia concentration in the sample. 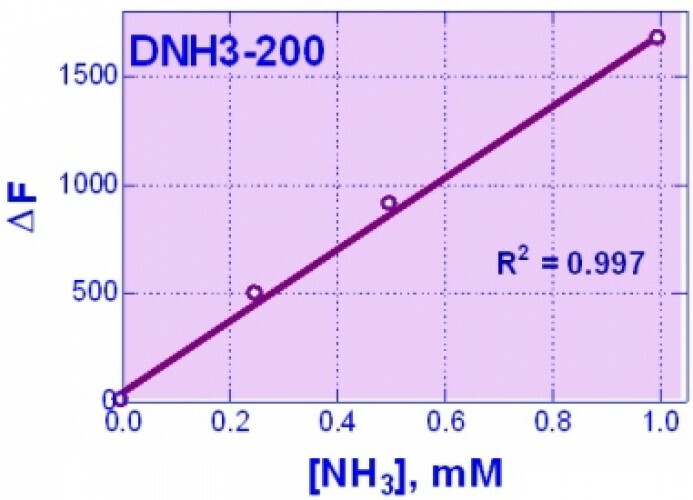 Applications For quantitative determination of ammonia/ammonium concentration by fluorimetry at 360nm/450nm (compatible on handheld fluorimeter catalog# FL360450).